Do you teach about electricity? Do you teach innovation? Either way, Richard Turere can help you. 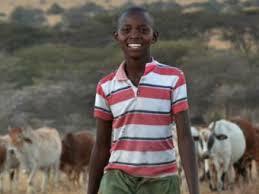 Just a few months ago, Richard was a quiet Masaai boy, living on the edge of Nairobi National Park, in Kenya. Frustrated by the lions attacking his family’s cattle, Richard decided to do something about it. Working with bits and pieces of wire, an old car battery and a broken flashlight, Richard created blinking lights that frightened prowling lions from their farm. Listen to him tell his story. Richard is a wonderful model for students learning about innovation. His story of problem finding, persistence, and flexibility is a classic of the invention process. But (as they say in the infomercials), that’s not all! 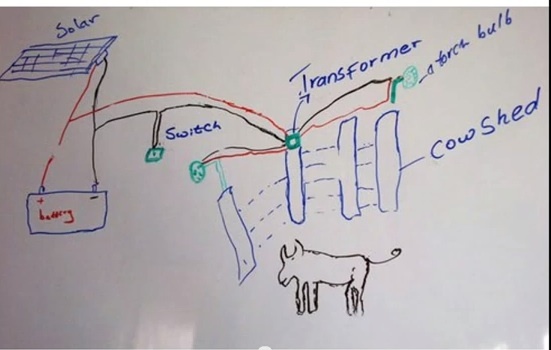 Richard’s schematic of his invention can provide inspiration for a myriad of student projects involving electrical circuits. If you teach about electricity, instead of assigning students to create a basic circuit, why not inspire them to invention? Think about an assignment in which students need to identify a problem that could be solved with light—or some other application of electrical power. They could then create a schematic of their own invention, along with an explanation of its functioning. Some students might even build their inventions. Either way, students have a chance to apply understanding of circuits in an innovative way—and you have a window into their thinking. If you try it, we’d love to hear what emerges. One of my students once invented light-up fuzzy dog slippers with a bulb where the nose should be. What will yours do? « National Poetry Month: What Will You Create?